Comments Off on Grammar Giggles – Gar-on-tee! 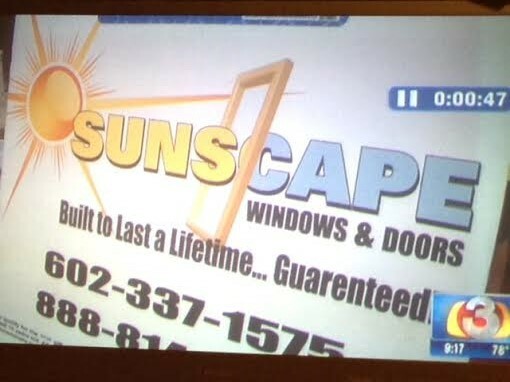 I saw this one on a local news channel on a story about how our storms this weekend affected a home and garden show and I’m shocked that this sign got this far with the glaring error. I just hope it’s not an error that shows up in all their marketing materials. Unbelievable! I learned something interesting this week. As much as you think you know about something, every once in a while it is good to check your resources. While I covered this topic according to the Gregg Reference Manual in a post entitled Things Are Coming to a Head(ing) about exceptions to the “capitalize everything except articles, conjunctions, and prepositions shorter than four letters” rule, a recent search through The Bluebook showed me that that rule was not correct for headings in a legal document done in “Bluebook style.” According to Section 8 of The Bluebook, in headings and titles, the first word in the heading or title and the word immediately following a colon in a heading or title should be capitalized. However, do not capitalize articles, conjunctions, and prepositions of four or fewer letters unless they fit the criteria in the immediately preceding sentence (they are the first word of the title or immediately follow a colon). 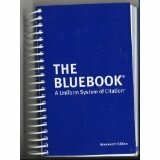 I guess I’ll have to read through The Bluebook again just for good measure to see what other “rules” need to be adjusted. Grammar Giggles – Yes, We Have No . 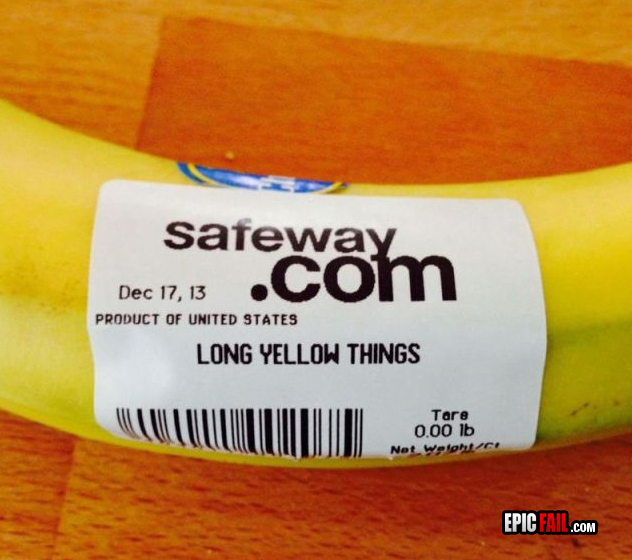 . . Long Yellow Things! Comments Off on Grammar Giggles – Yes, We Have No . . . Long Yellow Things! This could be taking truth in advertising just a little too far . 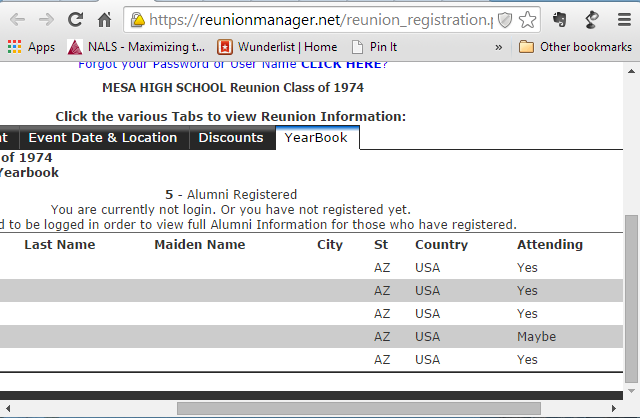 . .
My class reunion is next month, and while I was signing up for it, I came upon this page that I don’t even understand. Someone should have read this language and they would have realized things were wrong and missing. Grammar Giggle – Let’s Be Heathly! Comments Off on Grammar Giggle – Let’s Be Heathly! 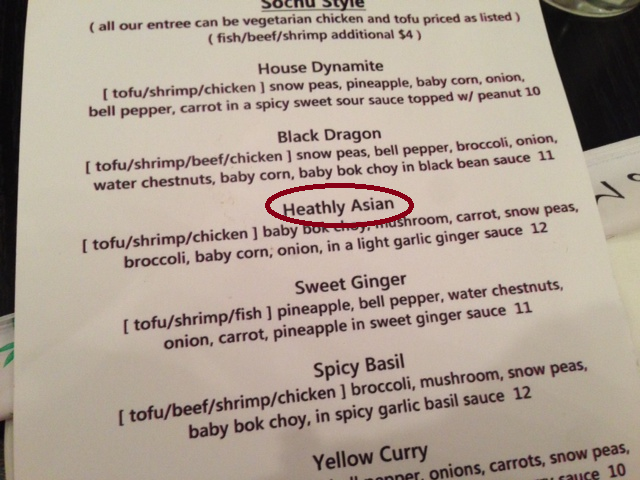 I saw this one on a restaurant menu recently. It is also defined as a noun meaning feeling or emotion. So what does that mean really? 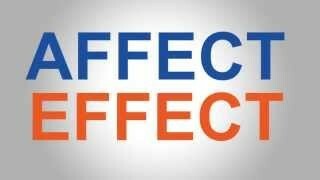 Affect is usually used as a verb to mean to influence or change. 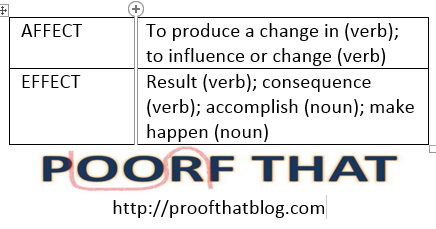 Effect is either used as a verb meaning to bring about or as a noun meaning the result or impression. Which would you choose when you hear “The wine didn’t have quite the affect/effect she was hoping for”? Some of these are so close that either could be correct, so you need to dig just a little bit deeper. First, you need to decide if it is a verb (an action word) or a noun (the name of a person, place, object, idea, quality, or activity). “The wine didn’t have quite the [action] she was hoping for.” So the verb definitions are affect to influence or change and effect to bring about. Would you say “The wine didn’t have quite the influence or change she was hoping for” or “The wine didn’t have quite the bring about she was hoping for.” The correct word is affect. “The new paralegal was affecting/effecting the morale in the office.” The paralegal was creating an action on the morale in the office so was the new paralegal influencing or changing (affecting) the morale or was he bringing about (effecting) the morale? It should be affecting. “The uncertainty in the legal market affected/effected attendance at the conference.” The uncertainty influenced or changed the attendance or the uncertainty brought about the attendance? Here, it would be affected. One more for good measure: “The ruling in this case will affect/effect future door-to-door sales.” Will the ruling influence or change sales or will the ruling bring about sales? This should be affect. We’ve done some practice with affect/effect as verbs, let’s try one as a noun. “The affect/effect of the storm damage won’t be known for some time.” Is it the feeling or emotion of the storm damage that won’t be known or is it the result of the storm damage that won’t be known? It should be effect. Grammar Giggles – What Kind of Environment? Comments Off on Grammar Giggles – What Kind of Environment? One of my blog readers sent this to me. I’m pretty good with a glue stick, but not sure I could qualify for this job. Comments Off on Happy Blogiversary to Me! 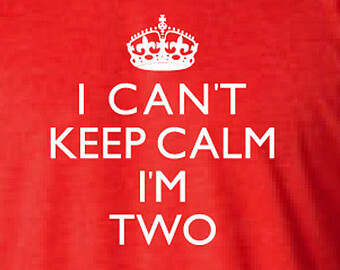 This past Wednesday marked the two-year blogiversary of Proof That blog. When I started posting, I wasn’t sure there would be an audience or how long I would have enough material to continue. Thanks to all of you who send me some of the greatest Grammar Giggles ever, tell me you love the blog when I have no idea you even read it, and send me ideas for topics, Proof That keeps going. There are lots of things that could be improved–I could get back on a more regular schedule, I could post more guest posts (hint, hint! ), I could, I should, I would . . . but at this point in my life/career/can’t-keep-my-dang-hand-down volunteerism I’m doing the best I can and Proof That seems to be making at least some kind of impact. What more could I ask for? So when all is said and done, I’m pretty damn proud of this little blog and I hope you enjoy it and learn at least a little something every once in a while. Here’s to at least a couple more years of Proof That! I couldn’t do it without YOU and truly can’t thank you enough for your support! KEEP PROOFING!